Babies should be introduced to food like peanuts, fish and egg as early as four months old, US health experts say. The new relaxed guidelines, published on Monday, are the result of a 20-year change of heart among American pediatricians when it comes to allergenic ingredients. In 2000, parents were told to save cow’s milk until their child was one, egg until their child was two, and nuts and fish until the age of three – all in the hopes of preventing potentially deadly reactions. But 19 years later, experts say the earlier the better: more and more research suggests that earlier exposure could be just the thing to drive down the number of kids who react to foods. Introducing your child to ingredients that have a higher risk of reaction can be an unnerving experience for a parent – particularly as allergy rates rise in the US. In 2001, 5.3 percent of US adults had a diagnosed food allergy. That jumped to 6.5 percent in 2010, and again to 10.8 percent in 2016. Most of those (90 percent) are triggered by eight food groups: cow milk, eggs, fish, crustacean shellfish, tree nuts, peanuts, wheat and soybean. For example: Americans are increasingly allergic to sesame, an ingredient that has become more common in US supermarkets and homes in recent years thanks to a rise in taste for Middle Eastern food like hummus. So, for parents trying to mitigate their child’s risk, the conundrum has become even more confusing in recent years due to a boom in research that can be overwhelming and sometimes conflicting. Since 2015, the American Academy of Pediatrics has endorsed ‘early introduction’ to peanuts for ‘high-risk’ children (i.e. those with a family history of allergy). The new guidelines double down on that, saying there is no reason why any parent should delay exposure. ‘We know that some children are predisposed to allergies because of their family history,’ said Frank Greer, MD, FAAP, co-author of the clinical report. 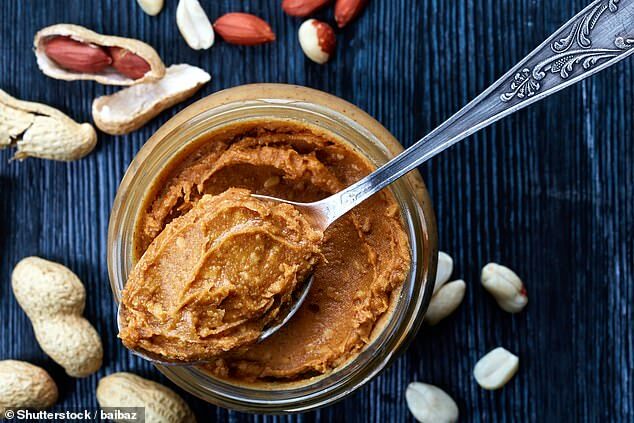 Co-author Dr Scott Sicherer, MD, added: ‘There is no reason to delay giving your baby foods that are thought of as allergens like peanut products, eggs or fish.